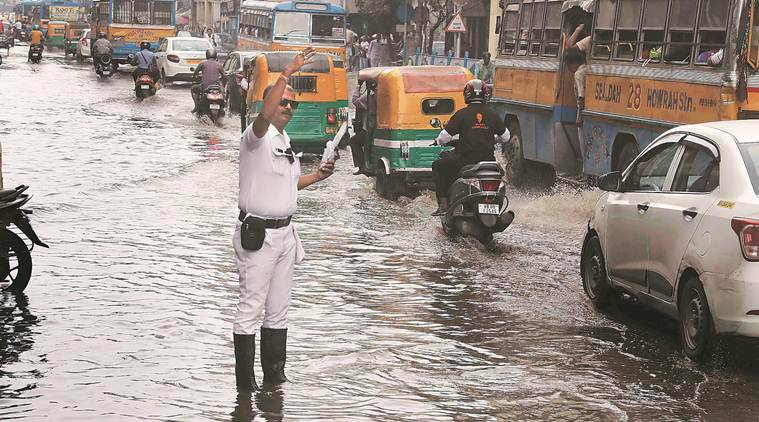 After pouring down heavily for the past four days, the weather is likely to improve on Friday, Met officials said. “The sky will remain cloudy, but rain intensity will go down. The weather will be better than the last three days,” said an official of the Alipore Meteorological office. The rain will gradually shift eastwards covering Coastal Odisha and isolated places in West Bengal, the official added. Kolkata, Midnapore, Diamond Harbour, Digha, Sambhalpur, Bankura, Shantiniketan have been receiving continuous rainfall for the last few days. The situation was brought under control within a couple of hours. Due to heavy rains, the night temperatures are settling below normal. Meanwhile, with cloudy sky conditions, the day temperatures are also settling below normal. The maximum temperature in the city on Thursday was 23.5 degrees Celsius, 8 degrees lower than normal, while the minimum temperature recorded was 18.6 degrees Celsius, which was 1 degree less than normal. In the last 24 hours, Kolkata has recorded 51.1mm rainfall. As per weather department, the city receives an average rainfall of 20.9 mm in February. However, till Thursday, the city has received more than 70mm rain.